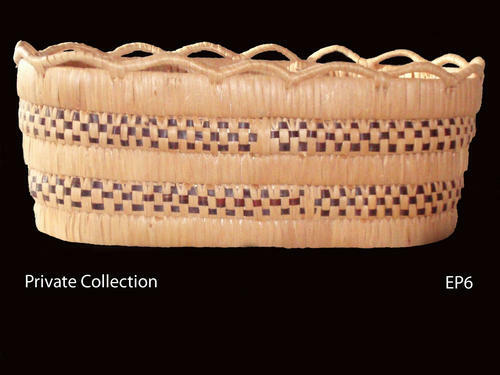 Although it is larger and lacks the false braid around the base, this basket resembles basket PC BW1 which is also believed to have been made by Agnes McGee. The gap in the bands may constitute a ‘signature’ of sorts. It is present on a number of Agnes’s later baskets. Oval shaped, slat coil basket with bundle or solid core loop work around the edge. 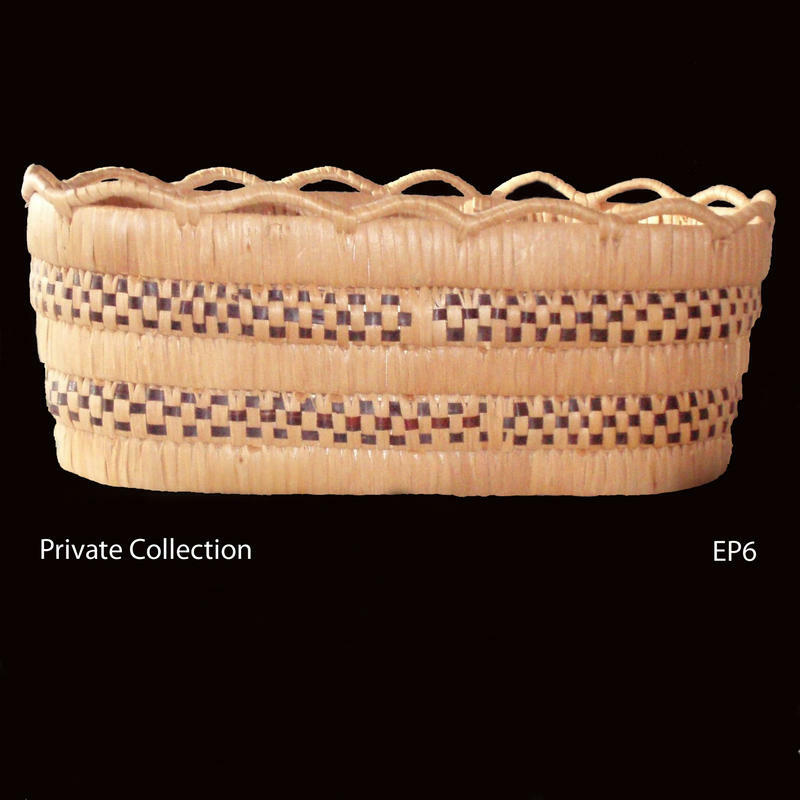 Basket has two bands of checkerwork beading (Type ). Slat coil construction, loop work, beaded decoration. Cedar wood slats, cherry bark decoration.